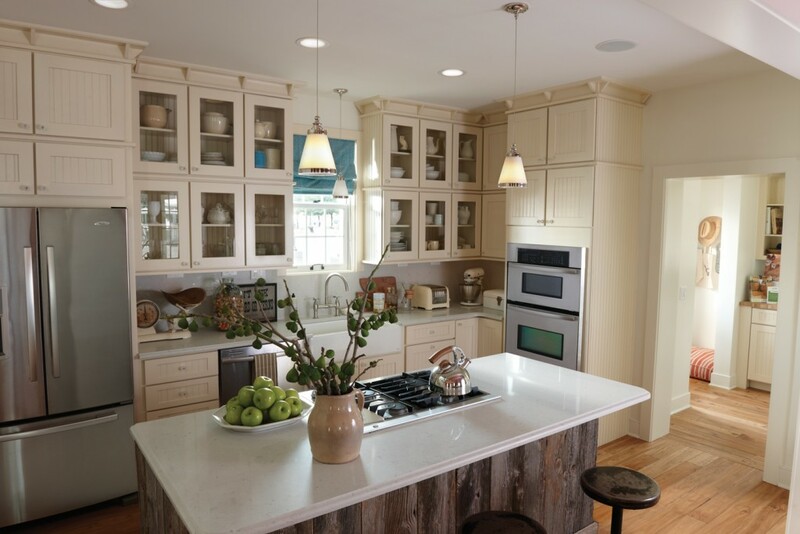 StarMark Cabinetry recently named OLD WORLD appeal as a major trend in kitchens and baths. To create this look in your home, incorporate muted hues into your cabinet color. 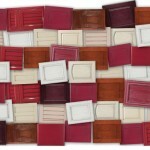 If you aren’t feeling quite brave enough, try a kitchen chair or desk in your room with a splash of rusty red color. Modern Supply is proud to feature StarMark Cabinetry in the showroom. This entry was posted in Uncategorized on July 11, 2014 by Webmaster. It’s that time of year when I’m soooo over winter and thinkin’ spring!! Can’t wait to open my windows and feel a warm breeze comin’ through those grimy windows. ☺ This year, I’m goin’ greener with cleaning products and using fewer nasty chemicals. Magical household cleaning products include vinegar, baking soda, hydrogen peroxide & Dawn dish washing liquid—the blue kind. 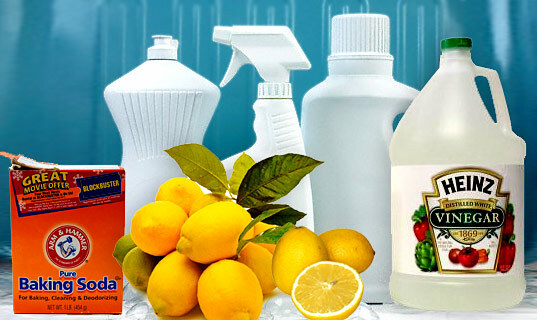 Vinegar and hydrogen peroxide kills tons of bacteria, molds and viruses. Peroxide works much like bleach without harmful effects. Do not mix vinegar and peroxide in the same bottle! It creates a chemical that is NOT GOOD. However, for super-duper cleaning you can mist one and then the other. Just don’t mix ‘em! Beware, vinegar can damage marble or other polished stone; use peroxide. 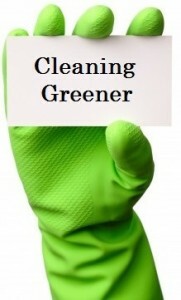 Go green with natural cleaning products! Baking soda is scrubbing power! Sprinkle on nasty tub grunge, mist with vinegar and watch it bubble away soap scum! Use these two cleaning concoctions as guides and adjust to your level of yuck! • Pour equal parts of Dawn and vinegar into a spray bottle and gently shake. Heat the vinegar in the microwave for extra POW! 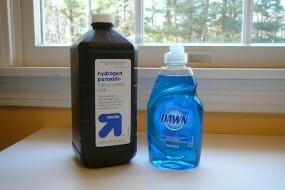 • One part Dawn & two parts peroxide— remember peroxide has a whitening effect so careful with color! • Water Rings disappear by rubbing a bit of non-gel toothpaste on it and buffing with a cloth. • Kill germs on doorknobs with full-strength vinegar OR peroxide and wipe dry. • Brighten a load of white laundry by adding a cup of peroxide. • Disinfect kids’ toys by spraying with peroxide. • Zap pesky fruit flies by setting out a dish of undiluted vinegar. • Keep the kitty off of a surface by misting with vinegar. They hate the smell. • Kill grass between patio bricks by spreading salt between them; then sprinkle with water. • Cut a lemon in half, dip in salt and rub on copper or brass to remove stains (not brass plated). • Use Vinegar & water for window cleaner and wipe with coffee filters. They’re lint free! This entry was posted in Bath Trends & Tips, Kitchen Trends & Tips and tagged Clean green, clean with vinegar, Cleaning greener, Dawn and vinegar, Dawn peroxide on March 11, 2013 by Webmaster. Sodas, bottled water, vino and brew can use up a lot of space in the kitchen fridge. 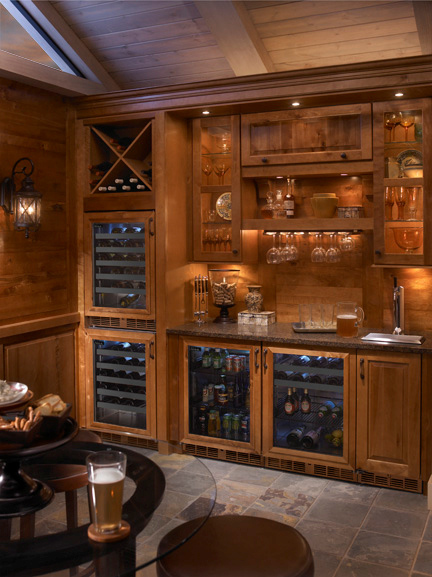 If you chill a lot of drinks, a beverage center is the answer. 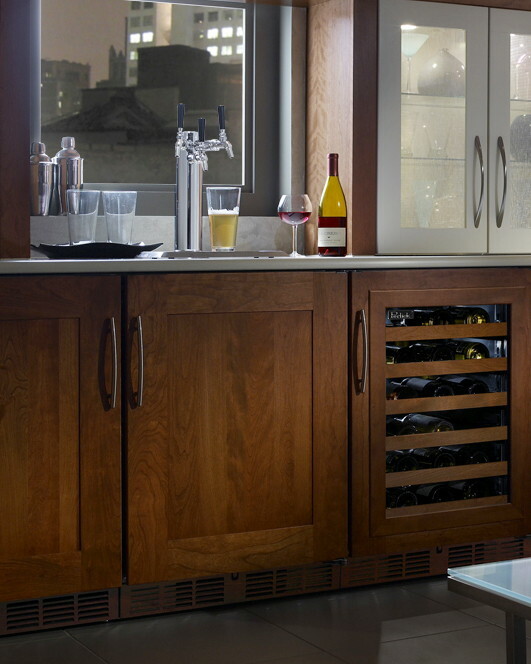 There are oodles of sizes and styles to chill your fav drinks…even for kitchens! 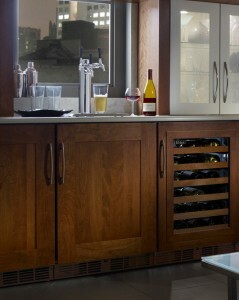 Design your own beverage bar with Armstrong Cabinets. 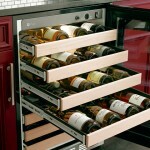 GE cooler with wine extension racks. First, there are small refrigerators available with drawers or doors with full extension shelves. These are suitable for food or bevs and can be stacked if you need more than one. These are ideal for man caves and home theater rooms. Larger sizes even have freezers in case you need to stash some ice cream too! 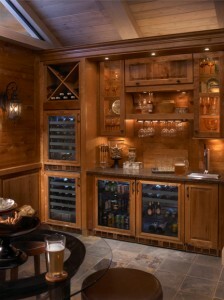 Beverage centers are designed with shelving to accommodate soft drinks and wine. Larger units may have two sides; a fridge and beverage section with individual temp controls. 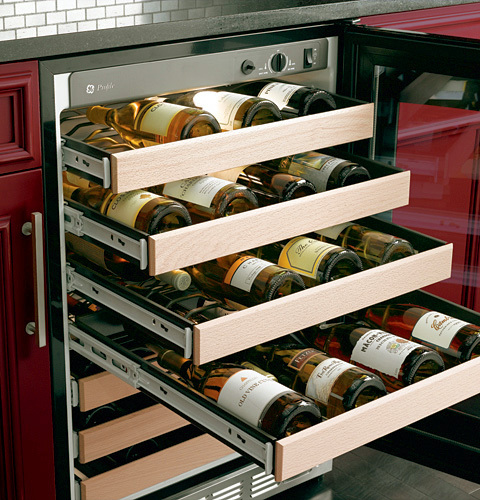 For the vino connoisseur, some wine reserve models have shelving that prevents shifting and slippage of the stored bottles and glass doors that protect varietals from ultraviolet light. Ooo la la! 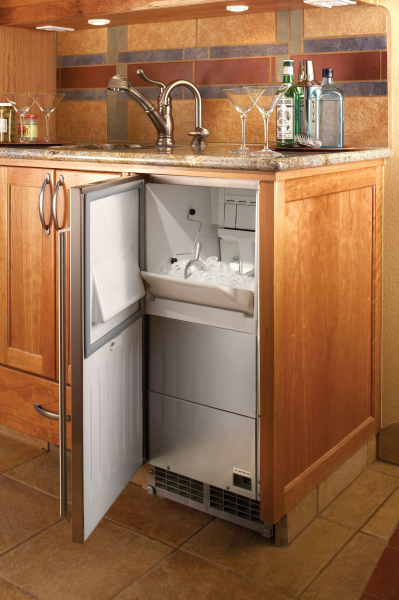 A must-have for a full-blown beverage area is an ice maker. Brands like Perlick can make up to 50 pounds of ice per day. That can accommodate a big shindig and a lot of umbrella drinks! Don’t forget the beer dispensers. After all, it’s always sports time in Tennessee! Available with one or two taps to serve-up two different brews—chilled to a perfect 33-39 degrees. Let there be accessories! If there are kids in the house, you can lock-down the adult brews with optional lock features. One of my fav accessories is the martini glass chiller racks. Nothing like a Moderntini in a perfectly chilled glass! There are also drawer dividers, shelving choices, and door options in glass or stainless. If you’re like me and just adore entertaining, a beverage center makes it sooo much easier. My Modern Supply design peeps can create an entire refreshment center with complete with cabinetry, appliances and all the trimmings. Give ‘em a shout at 865.966.4567. Cheers! This entry was posted in Fun Stuff!, Kitchen Trends & Tips and tagged beer dispensers, home beverage center, ice maker, modern supply, Modern's Millie, Perlick, small refrigerators, wine coolers on February 8, 2013 by Webmaster. Baby boomers are the folks born from 1946 to 1964 and are 81+ million strong in the U.S. They account for 28 percent of the U.S population but more than half of the nation’s purchasing power according to a recent study by the Research Institute for Cooking & Kitchen Intelligence (RICKI). Many boomers are choosing to remain in their current homes as they age. Aging in Place means the ability to live in your own home comfortably and safely for as long as possible. As people remodel their homes, they’re including Universal Design products—a design concept that meets the needs of people with varied abilities. It considers people with age-related problems, people who are tall or short, as well as those with various physical or mental impairments. It also acknowledges that abilities change over time. A low threshold shower with bench from American Standard. What Aging in Place DOES NOT mean is that your home renovations have to look institutional! Kitchen and bathrooms typically require the most alternations. Here are some practical, but stylish suggestions to keep that cozy feel. Bathroom manufacturers are offering comfortable walk-in tubs, roomy seated showers, stylish easy-to-use faucets and higher toilets to create a beautiful, safer and more comfortable bathroom. 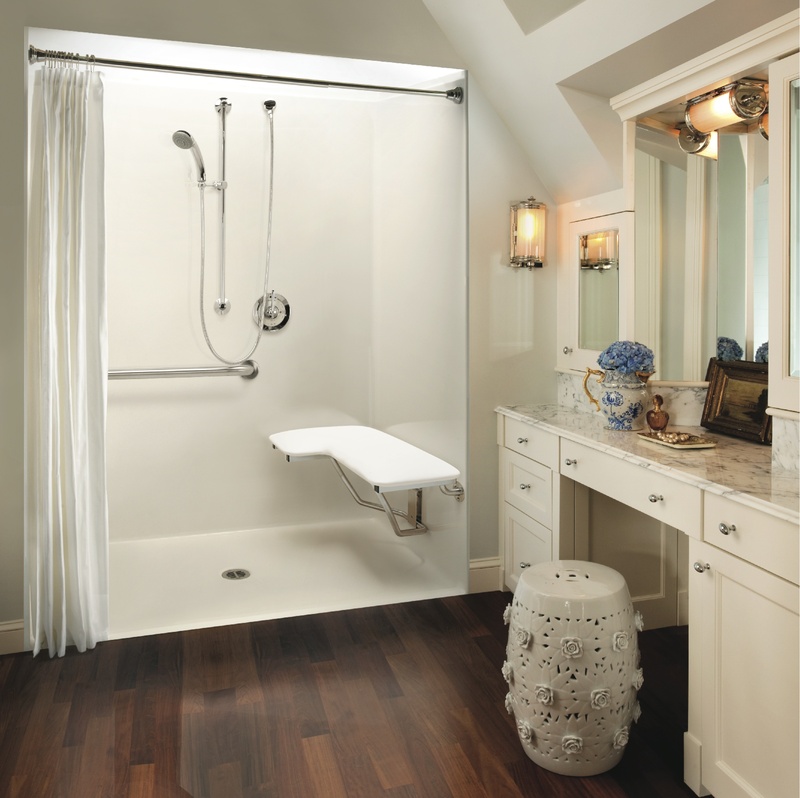 • Walk-in tubs come as soaking units with built-in chair height benches and grab bars. 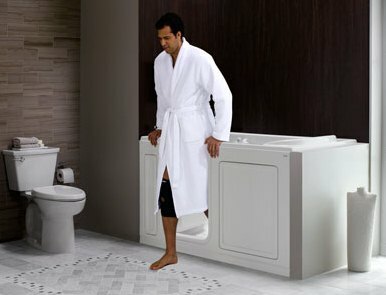 Options include hydrotherapy features such as air and whirlpool or pumps for faster draining. • Walk-in showers are available in several sizes with low to zero thresholds for easy access. There are choices of benches, seats, shelves and grab bars. Most install easily for retro-fit remodels. Aquatic’s accessible shower with hand-held shower head with slider bar. • Plumbing fixtures such touch-free faucets and adjustable hand-held shower heads are both available with temperature controls to prevent scalding. • Toilets heights at 16-17” are taller and safer. Adding a raised toilet seat will add more height. Delta’s Touch technology turns on/off easily. 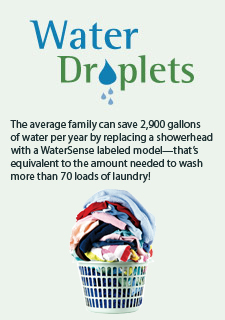 Delta’s Touch technology saves water, too! 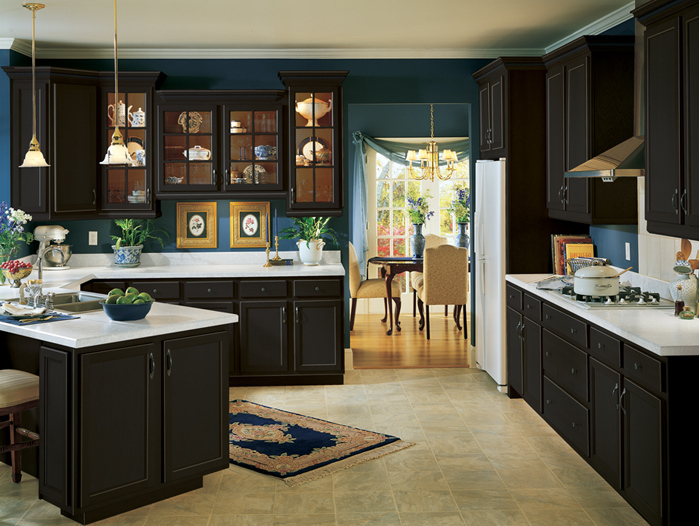 Universal Design options are plentiful for creating a user-friendly kitchen. Evaluate how your kitchen flows. Eliminate tight spaces and obstructions that may, at some time, become a safety issue. A pull-out shelf is convenient under a GE built-in oven. Cabinets have a lot of flexibility. 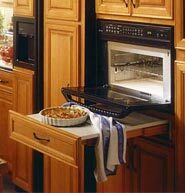 For easier access, wall cabinets may be installed lower and base cabinets higher. Include pull-out, roll-out or lift shelving for less bending. Soft close door hinges and drawer glides simplify opening and closing. Deep toe kicks on cabinets will accommodate wheel chairs. This raised GE dishwasher eliminates extra bending. 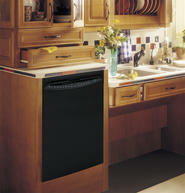 Appliances can be installed based on height requirements. Raise a dishwasher or lower microwaves, cooktops and built-in ovens to accommodate your need. Again, cabinets can be adjusted. Don’t forget lighting! Our eyes change as we age; less light reaches the retina and the sensitivity to glare increases. Uniform ambient (primary source) lighting and good task lighting is essential. Install dimmer switches for easy adjustments. 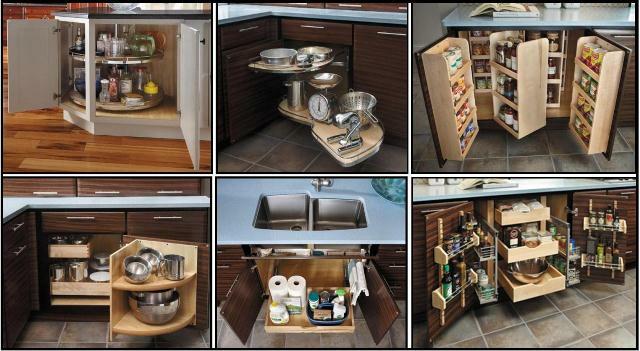 Easy to access kitchen storage from StarMark Cabinetry. Baby boomers are the flower children of yesterday who transformed into movers and shakers of change. They continue to influence change and companies are listening to their needs. This entry was posted in Bath Trends & Tips, Kitchen Trends & Tips and tagged Aging in Place, Baby Boomers, Delta, grab bars, modern supply, Modern Supply kitchen bath showroom, Raised cabinets, remodel, StarMark Cabinetry, Touch faucets, Universal Design, walk-in showers, walk-in tubs on January 16, 2013 by Webmaster. Kitchens are the heart of the home and used for so much more than preparing food. They’re a gathering place and often an extension of the family living area. People today are staying in their homes longer and are remodeling to suit their taste and lifestyle and not just for resell value. 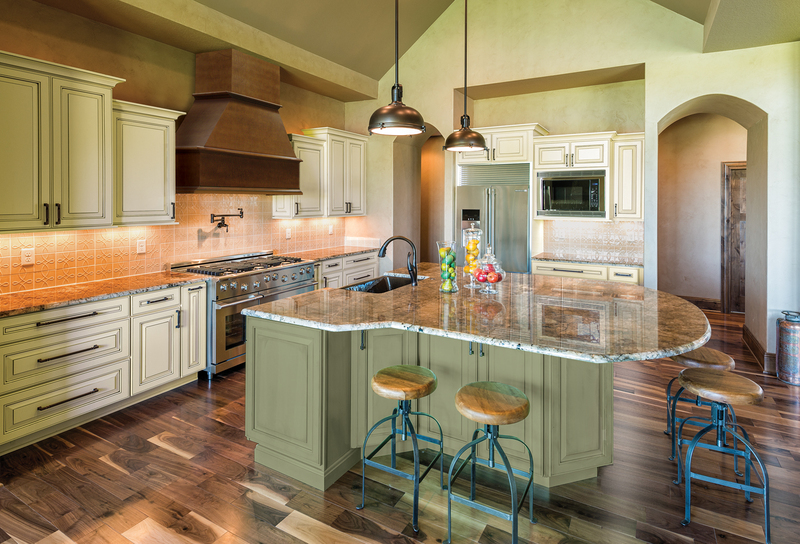 Statistics show a kitchen remodel has the largest pay-back of any home remodel. A lot of factors may influence the decision to remodel. Are your kitchen cabinets beginning to fall apart? Are dated appliances at the end of their life? Want to open-up the area by removing a wall? Need more storage and better traffic flow? All great reasons! The biggest remodeling concern is budget. A justified concern since large, show-stopper kitchen costs can soar. However, they don’t have to! By taking a hard look at your must-have’s, deciding which things you can live without, and choosing the right products, your remodel can be within reach. Cabinetry and hardware account for approximately twenty-nine percent of a kitchen remodeling budget according to the National Kitchen and Bath Association. 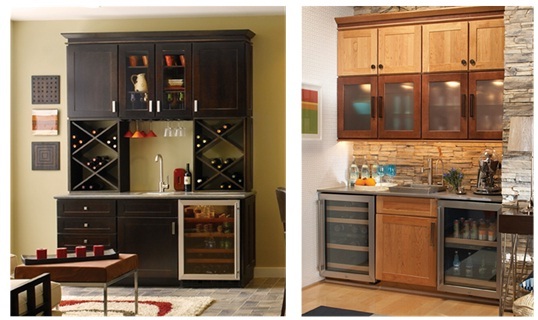 Modern Supply represents several cabinetry lines; each with their own niche, price range and design options. 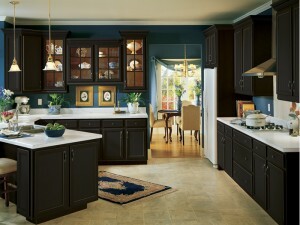 Armstrong Cabinets are made in the USA and offer a wide range of semi-custom, fine quality kitchen and bath cabinetry. We know and trust the Armstrong brand to deliver exceptional craftsmanship and value. With three lines, more than 20 finishes and 23 door styles, there’s beauty to meet your budget. Great mix of finishes! Armstrong’s Vanilla Cream & Sage. • Allwood™ is Armstrong’s top-tier construction features that are found in custom built cabinetry. • Premier™ Series construction is finely crafted with quality and affordability. It offers a budget conscious choice that doesn’t sacrifice style or quality. • Origins Series combines the durability and value of the Allwood construction with the environmental benefits of sustainable, low emitting materials. Based on your budget, you may add options such as dovetail drawers, soft-close drawers and soft-close door hinges. Armstrong also offers glass and aluminum doors, moldings, light rail and finish glazes. Pull-out shelves, lazy susans and base cabinet organizers offer easy access. Keep it simple or spice it up! It’s your choice for Armstrong accessories! This entry was posted in Kitchen Trends & Tips and tagged ArmStrong Cabinets, budget cabinets, Cabinets made in the USA, kitchen remodeling budget, modern supply, Oynx finish, Sage finish, Slate Gray finish, Vanilla Cream finish on December 6, 2012 by Webmaster. Hip Hip Hooray for American made Elkay Manufacturing! 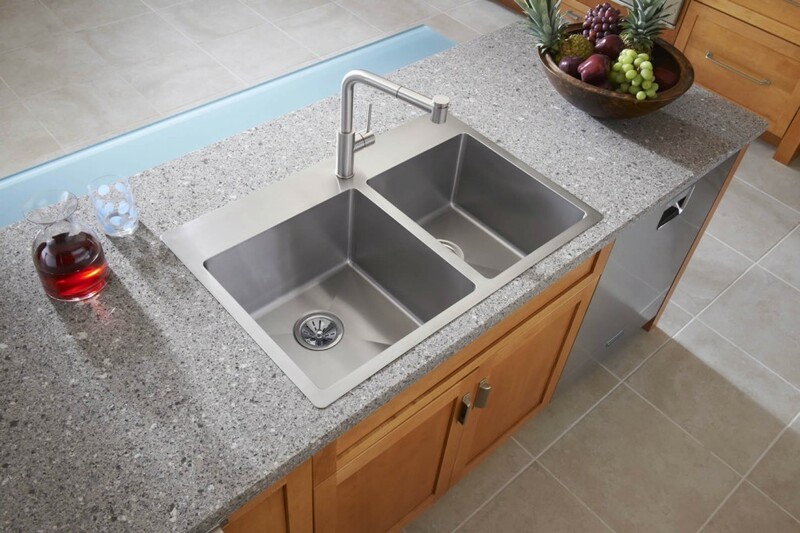 Elkay filed petitions that initiated an investigation by the United States Department of Commerce against Chinese imported stainless steel sinks that were selling from 54.25 percent to 76.53 percent of the U.S. sales price. Yikes! It’s hard to compete against cheap! The U.S. Commerce folk’s preliminary decision in September 2012, requires Chinese competitors to pay cash deposits on stainless steel sinks imported into the U.S. Amounts range from 50.28 to 76.15 percent of the customs value of the imports. This is a gi-normous win! This ruling helps to protect U.S. jobs. 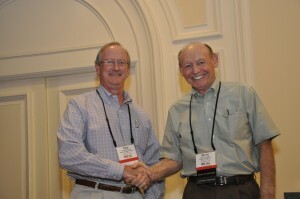 Elkay is America’s number one selling stainless steel sink company with 3500 U.S employees. Most of these Chinese sinks are cheapo’s made of a grade of stainless steel inferior to Elkay’s. The lower the stainless gauge number, the thicker, which helps reduce scratching & noise. The ‘ol “pay for what ya get” rule is dead-on here! This Fed ruling will make the imports more in-line with American-made pricing. 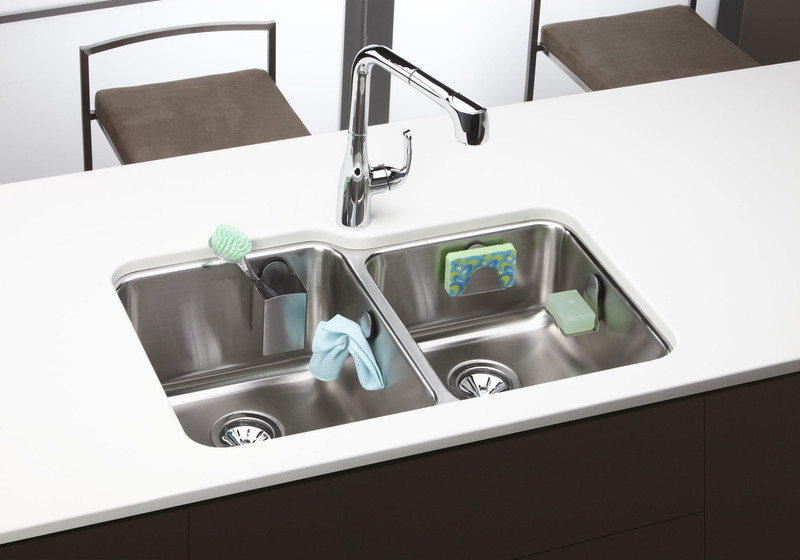 Before you go shellin’ out your hard earned bucks on a swanky new stainless sink, ask where it’s made. Buy American made and let the bucks stop here! Shop by Modern Supply’s Lovell Road showroom and take a peek at Elkay sinks. They have fab sinks in every shape, size and configuration. My design sistas will be tickled pink to help. Read the complete Elkay Press Release. 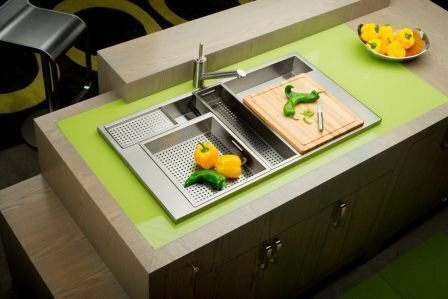 This entry was posted in Kitchen Trends & Tips and tagged American made sinks, Elkay, Elkay sinks, modern supply, stainless gauge, Stainless steel sinks on November 21, 2012 by Webmaster.